Make an impact with your audience while saving lives by sponsoring a FACE event. FACE Foundation hosts two large-scale fundraising events annually – Bags & Baubles and the Invitational Golf Tournament. Sponsorship opportunities are available for both events, and we are always open to discussing ideas for co-branded fundraisers. See below for details. Every spring, FACE hosts its annual Bags & Baubles silent auction at a beautiful estate in Rancho Santa Fe. Now in its 9th year, Bags & Baubles is a must for local San Diego fashionistas and animal lovers alike, and annually hosts over 500 guests. This fun shopping event offers designer and lightly loved handbags, sunglasses, fine jewelry, men’s items, and a selection of accessories and home items. 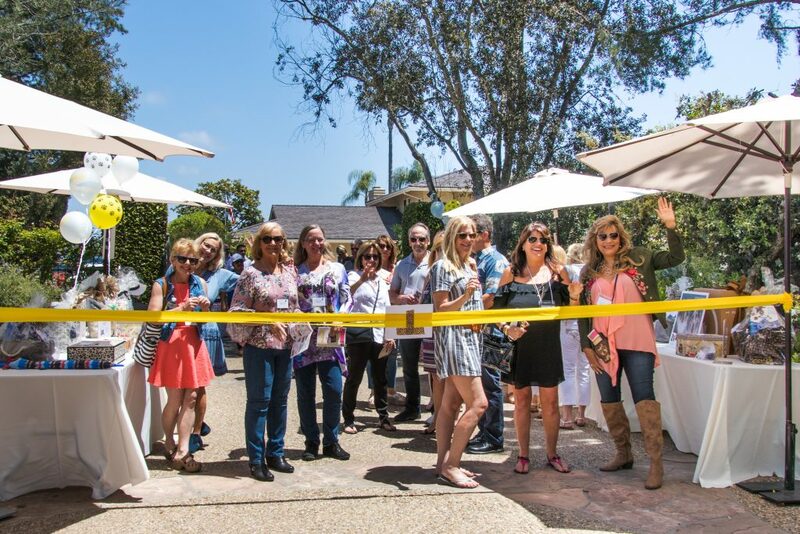 In addition to the great shopping at Bags & Baubles, guests also look forward to this the wine, gourmet appetizers, and delicious desserts offered to them, as well as luxe opportunity drawing prizes and spectacular views of Rancho Santa Fe’s rolling hills and the Pacific ocean. In 2018, Bags & Baubles raised over $134,000 for the animals. 100% of event funds go towards FACE’s lifesaving programs. Your marketing impact: Bags & Baubles draws in upwards of 500 guests and volunteers each year. You have the opportunity to align your brand with our highly motivated supporters through multiple sponsorship opportunities, ranging from $500 – $10,000. Sponsorships are tax-deductible donations to FACE and are available in monetary form as well as in-kind product/service donations. Sponsorship benefits include mention in the press (on-air, press releases), event material inclusion (logo in event program, promotional item in swag bags, logo at auction table, banner and posters displayed at event) and digital opportunities (logo in e-vite to our master email list, logo/name on event website and face4pets.org website, social media posts, blog post inclusion). Benefits vary by sponsorship level. For more information about sponsorship opportunities with Bags & Baubles, contact click here or email [email protected]. Every November, FACE Foundation hosts its Invitational Golf Tournament at the Lomas Santa Fe Country Club in Solana Beach. 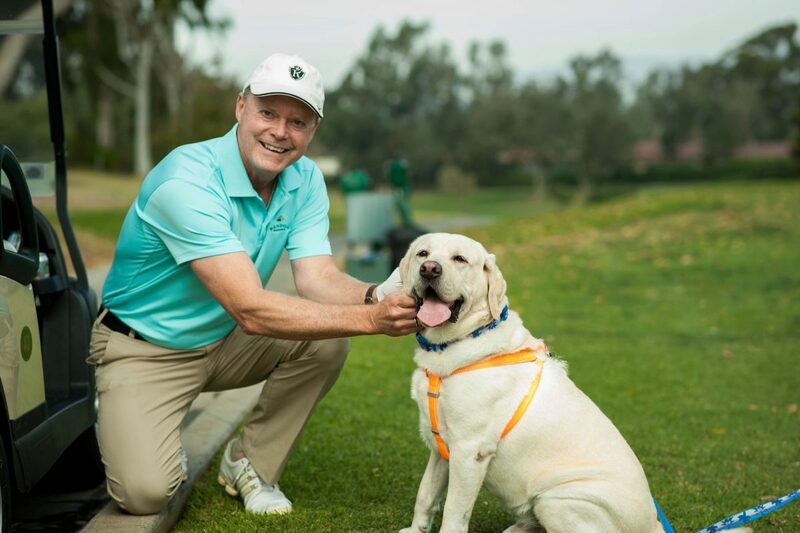 Now in its 7th year, this dog-friendly tournament allows players to enjoy a day of golf with their furry friends followed by dinner, drinks, and an exciting live auction – all to support FACE’s lifesaving programs. In 2017, we raised over $165,000 in funds for the animals. Your marketing impact: Our annual Invitational Golf Tournament draws in upwards 150 players, guests, and volunteers each year. You have the opportunity to align your brand with our highly motivated supporters through multiple sponsorship opportunities, ranging from $500 – $10,000. Sponsorships are tax-deductible donations to FACE and are available in monetary form as well as in-kind product/service donations. Sponsorship benefits include mention in the press (on-air, press releases), event material inclusion (tee box signage, logo in event program, promotional item in swag bags, logo at auction table, banner and posters displayed at event) event tickets (complimentary player registration, dinner tickets or full reserved table), and digital opportunities (logo in e-vite to our master email list, logo/name on event website and face4pets.org website, social media posts, blog post inclusion). Benefits vary by sponsorship level. You can easily set up a fundraiser on Facebook to help support FACE’s lifesaving programs. To get started, go to our fundraising page on Facebook and click on “raise money.” From there you can set up your own campaign. This is a great idea if you want to donate your birthday or raise funds in honor of someone special to you. Much like a restaurant give-back night, there are many local restaurants, breweries, and bars that host pet-friendly fundraising nights. Ask your local watering hole if they’d be interested in hosting a yappy hour at their location! Paint nights are a great way to have fun while raising funds for FACE. Simply request to host a paint night fundraiser to benefit FACE, invite your friends and family, and then a portion of the proceeds will be donated back to FACE. There are many paint night companies around San Diego, including Paint Nite and Painting and Vino. Holding a holiday party in honor of a nonprofit is a great way to celebrate during the season of giving! Whether you are hosting a party for your family and friends, or if your company has an annual holiday event, it’s easy to add a fundraising component to any holiday get-together. For example, in place of regular presents, you can request a donation to FACE, or sell “tickets” to your party for a predetermined donation amount that will be given back to FACE. Alternately, you can add a shopping component to your party and sell holiday-themed items. Check out Maranda’s Howliday in a Bottle party for an example of how you can celebrate the holidays while raising funds for pets in need. Silent and live auctions can be extremely successful in raising funds for charity. These types of events are great for clubs and companies that have the resources to plan and organize large-scale fundraisers. For example, La Jolla Veterinary Hospital hosts its annual Paws & Pints fundraiser, which benefits FACE Foundation and other local nonprofit groups. *Please note FACE approval is required before you start to plan a fundraiser. For more information about hosting a fundraiser in honor of FACE, please refer to our Third Party Event Guidelines.